It's a fact. In foodservice, it doesn't take a whole lot to knock the wind out of your profits. Time. Temperature. The talents of your workforce. They're all challenges - and they're all opportunities if you have the tools to make them work for you. Tools that trim preparation time...retain heat and fresh food flavors...that tempt customers...set new taste trends...and don't require special training and some license to use. Tools like that can make your profits...well...cook! No knockoffs or half-baked ideas. Just hardworking, innovative foodservice products that we design, engineer, and manufacture to perform better for you. 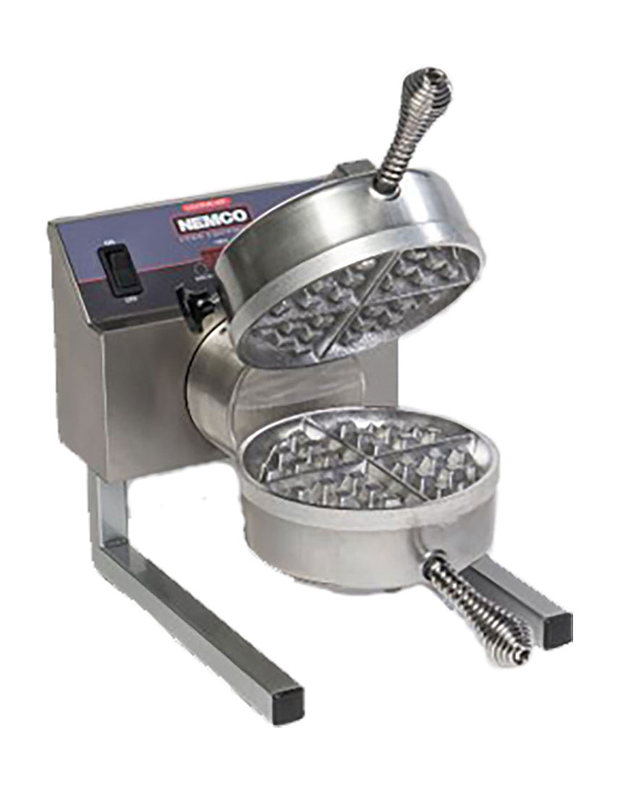 You can visit Nemco at www.nemcofoodequip.com. Takes EASY to a whole new level… Because a NEW factory-pretension blade set NEVER, EVER, needs tightening! Process up to 4-inch diameter onion. But don’t stop there. This remarkably versatile tool can make fast work of just about anything in the produce department! 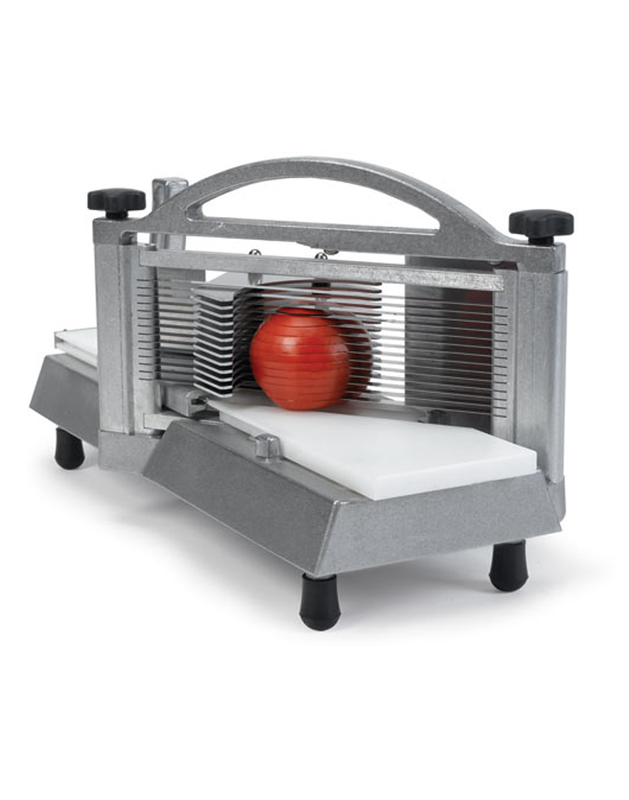 Compact, efficient, easy to use and even easier to maintain, the Easy Tomato Slicer 2 with its pretension cartridge blade assembly is more convenient than ever. 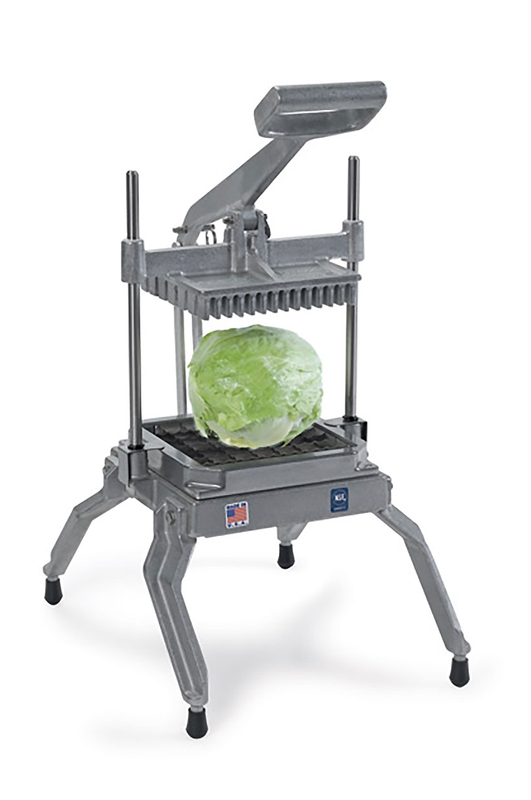 Cut mounds of crisp, fresh lettuce in seconds. Process a whole head of cored lettuce at a time. Scalloped blades and clean slicing action cuts with no crushing and no bruising. Spiral Fry lets you turn potatoes into plateful of uniquely appetizing, fresh, thin spiral fries that serve up big profits for you. 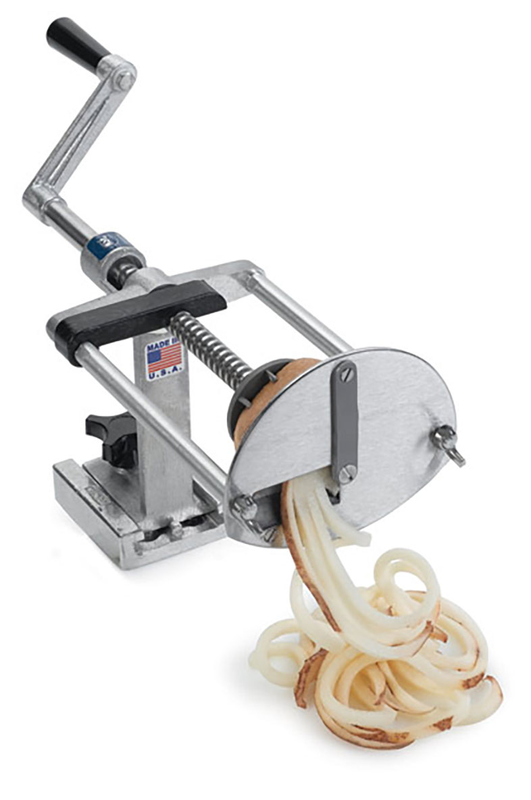 Fine Cut Garnish Cutter makes attractive vegetable garnishes quickly and easily. The Ribbon Fry Cutter makes a great side for sandwiches. Let profit roll! Its time tested, maintenance free design will serve you for years and forever satisfy your customers with the tastiest, juiciest hot dogs. 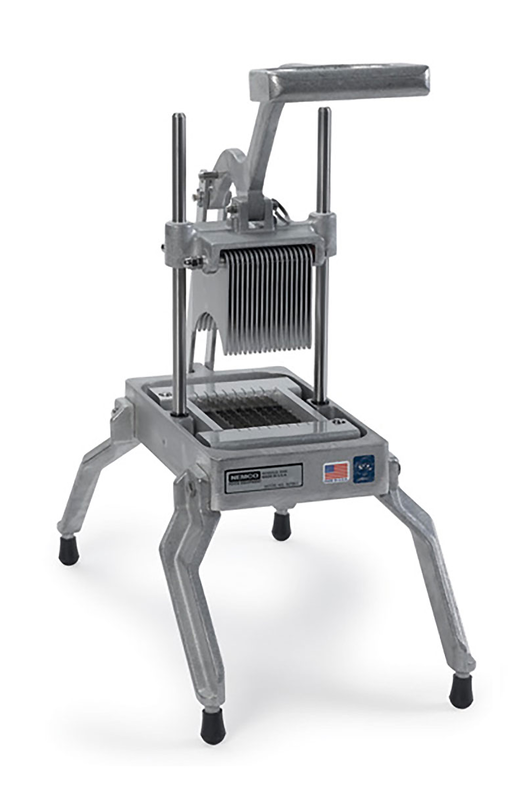 The 360 roller rotation prevents residue buildup, while individual roller heating elements ensure heating consistency. Removable drip pan makes for easy cleaning. 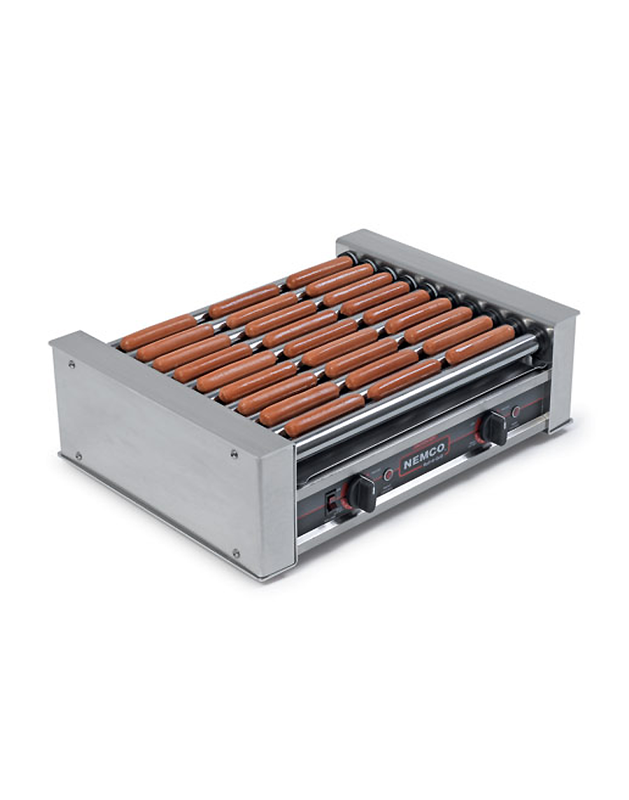 Belgian Waffle Bakers combine digitally controlled precision cooking with heavy-duty cast aluminum construction and the grid rotation lets you easily serve consistently great tasting and uniform crisp waffles.